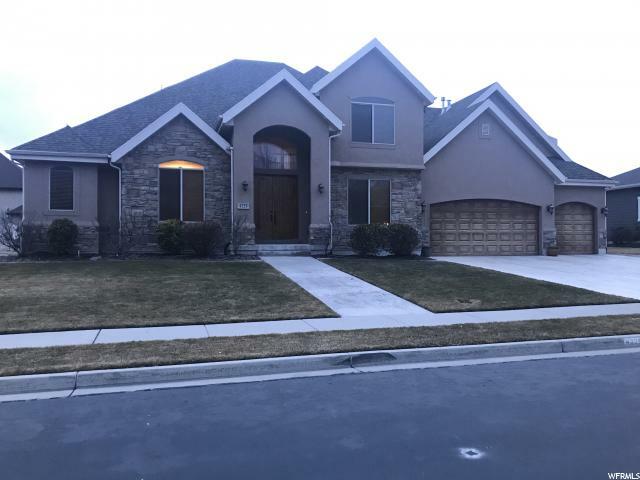 All Cedar Hills homes currently listed for sale in Cedar Hills as of 04/20/2019 are shown below. You can change the search criteria at any time by pressing the 'Change Search' button below. If you have any questions or you would like more information about any Cedar Hills homes for sale or other Cedar Hills real estate, please contact us and one of our knowledgeable Cedar Hills REALTORS® would be pleased to assist you. "AMAZING REMODEL & AMAZING VIEWS!! Come see this home today! 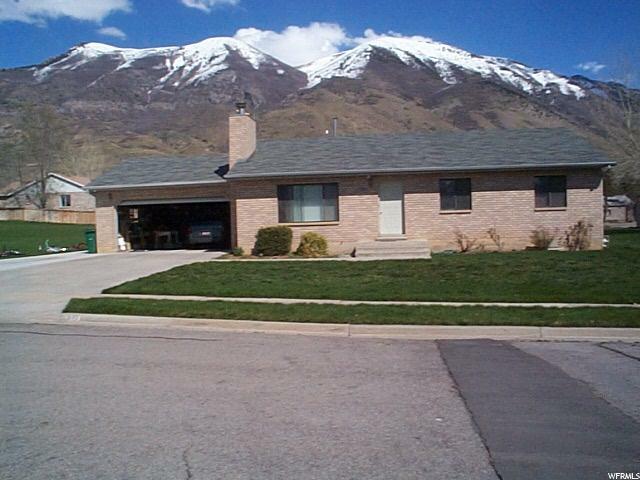 The home has just been totally remodeled and has some of the most amazing views in all of Utah County. You'll find all new cabinet, counters, light fixtures, hardware, paint, flooring, finish trim, new handrails everywhere including the deck outside, some new landscaping, sprinklers, and curbing. Beautiful home is an understatement! This home also offers an 800 square foot sports court that has been newly finished and a mother in law apartment. We'd love to show you this house, give us a call today! " "Amazing home with custom woodwork through out. Book cases, entertainment center, doors, and garage cabinets all custom made for this home. Look at the pictures and take the tour to truly appreciate the amazing woodwork. Basement entrance from the garage. Safe room to store your valuables or fire arms. This home is a must see if you are looking for a top of the line custom home. " "Gorgeous Two Story in the prestigious Juniper Heights Subdivision. Open floor plan with grand entertaining spaces make this property perfect for an active family lifestyle. Please do not disturb current tenants. Square footages are referenced from County records. Buyer to verify all property specifications and current conditions." "Main level living at its finest! Property is nestled on the East Bench with unobstructed valley and mountain views! Enjoy the large leveled backyard (rare premium for this type of lot) Custom home with a plethora of upgrades including custom wood moldings, custom tile, Dream Kitchen with amazing cabinets, custom build-in, high end stainless steel appliances, gas range (built-in), tile backsplash, granite and large pantry. Dream Laundry with built in cabinets and counter. Master bathroom features extra cabinets, jetted tub, dual sinks and large walk-in closet. Spring is just around the corner and the landscaping boasts flowering trees, lavender, butterfly bushes, rose bushes lily's, lilac's and more! Talking storage! Tons of closet space including Master Bathroom. Just past the finished basement boasting 2 bedrooms, bath and large family room are 2 extra large storage rooms! The larger of the 2 has a walk-out from the basement to the driveway just off the garage. This would be amazing for a home based business or to have a plenty of Costco Storage. " 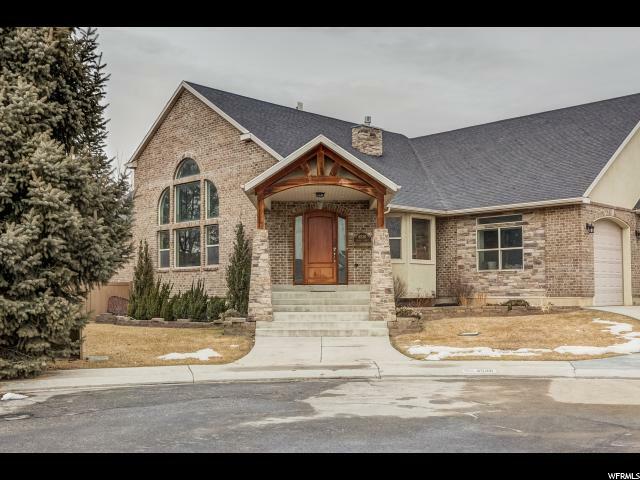 "Unique Park City style home in Cedar Hills! 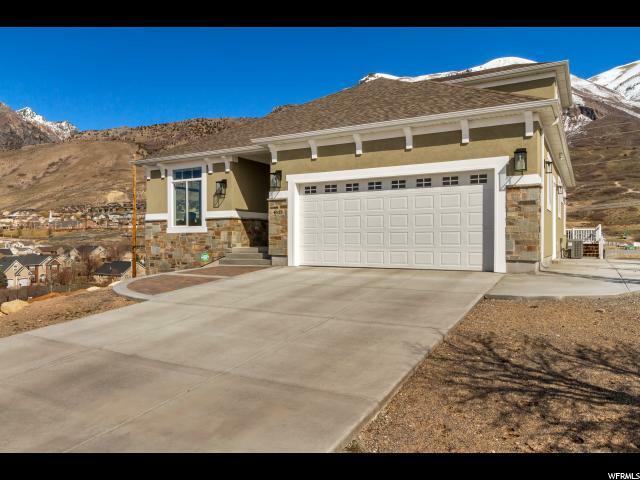 Minutes from American Fork Canyon, this home offers quick access to golf course, biking, and running trails. 9ft ceilings, custom finishes, and granite countertops throughout! ELEVATOR accesses all floors. The main living area is on the third floor which offers stunning views of Utah Lake, Valley, and surrounding mountains. The kitchen is equipped with stainless steel appliances, an oversized island, and plenty of space to entertain guests. It opens up to a great living room and dining area. Sliding doors from the kitchen and master bedroom suite lead to a secluded patio. Three bedrooms, two full bathrooms, a large, all-tiled laundry, and spacious game room on the second floor." "Price reduction of $60,000--Views, views and more views!!! Gorgeous home at the end of a Cul-de-sac. Granite throughout. 10 foot ceilings on main level and 9 foot basement level. Tons of natural light, plus mountain, valley and lake views. Some of the extras you will experience are: Over sized gas fireplace, huge 7 foot windows on the main, ceiling height cabinets with built in lights, built in audio system & TV w/full price offer, dimmers on all switches, fans w/remotes in each room, crown molding throughout and much more. The so-called basement is a must see, it's not finished, but most of it is at ground level with tremendous views (feels more like a second level of a house) with the possibility of another few bedrooms. It also has a walkout to a large covered patio wired for a hot-tube. Separate stairs lead from the front of the home along the side to the basement entrance. Buyers and/or buyer's agent to verify all info. " "Located on the beautiful bench of Cedar Hills, this stunning custom home by Anthem Custom Homes is perfect for all your needs. 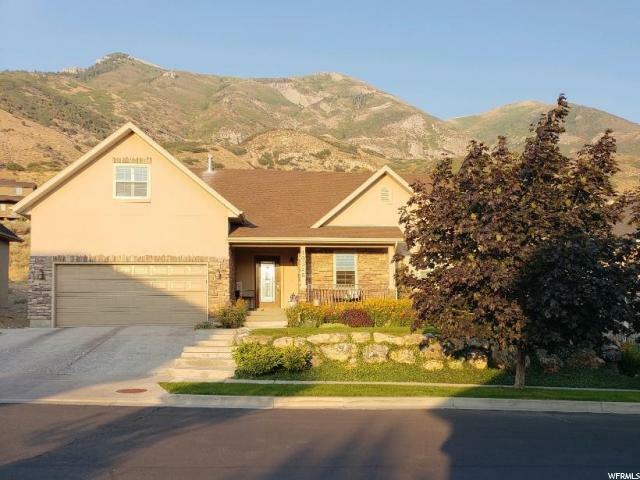 The lot is conveniently located near shopping, dining, schools, and American Fork canyon. A 3 car garage, 9' and tray ceilings, quartz countertops, and an upgraded exterior are just a few of the great features of this home. Estimated to be completed in May of 2019. *Some options can still be changed; contact listing agent for more information." "STUNNING upgrades & finishes throughout this entire home! Sellers have remodeled nearly everything! Immaculate! Excellent location, fully finished home & breathtaking views of the lake & valley. Basement was recently finished very custom with high-end finishes & gas fireplace! Must see! Jack & Jill doors to basement bathroom. Shower in basement has never been used! Plantation shutters throughout home! New, 1 year old energy efficient furnace. Quartz counters in basement bathroom. Well cared for home. Very private yard with no backyard neighbors. This home is a must see, you will not be disappointed! Sellers would love to sell and rent back for a year if that worked for a buyers situation. SqFt per appraisal, buyer to verify info." "Just Newly installed Furnance and Aircondition. New Granite Count top and Hot water tank too, and Solid Hard wood in Living room. Family room and Hallway in the main floor changed Energy Efficient LED light bulbs. Built in Audo systems in the main floor and basement. The house's values is $492,000 on Zillow.com." "PRICE REDUCED!!LOCATION!!! Million Dollar views at a bargain price! NO REAR NEIGHBORS! 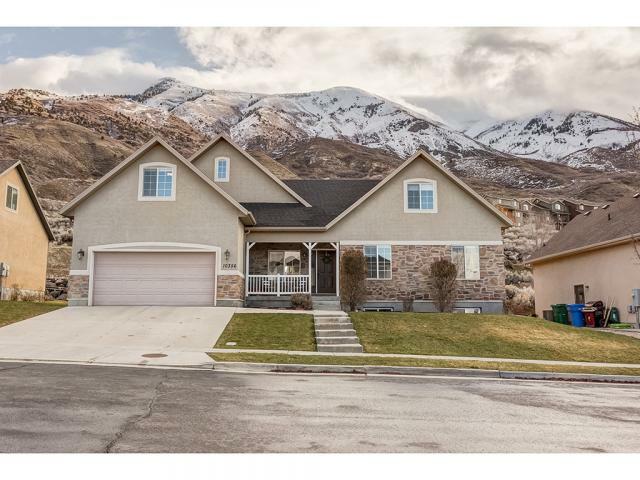 Stunning views of the Valley and Utah Lake to the south, and breathtaking views of Timpanogos Mtn. to the east! BACKS THE 17TH GREEN of Cedar Hills Golf Course! And that's just the yard... you'll love this darling, well kept home too! Granite counters in Kitchen and all Baths,- NEW Kitchen Appliances, Double Ovens, Gas Cooktop and Microwave. Wood and Natural Stone floors THROUGHOUT!-Some Wood Reclaimed Hickory! HUGE Master Bedroom and walk in closet for days! Walk-ins in all bedrooms! Fun family / theater area in bsmt! GORGEOUS Professionally Landscaped Back yard with Ginko, Magnolia, Tulip, Japanese Maple, Willow and Pine Trees! So much to love! Energy Efficant Furnace 2 years old, Newer Water Heater, Two Furnaces and Central Air Conditioners: one for upstairs, one for main and basement. ***$25k in solar panels INCLUDED!!!!" "GREAT DEAL FOR A BIG FAMILY! More than 4,000 s/f at only $105/s/f. Three floors finished. NEW carpet, paint, granite, range, and light fixtures. Flex room off foyer with French doors can serve as formal living room or office. HUGE open concept kitchen/dining/family room area--with columns! BIG guest bath and laundry complete main level. Upper level has 4 BIG bedrooms with walk-in closets and 2 baths, including a HUGE master en suite + a cute little 2nd flex area. Lower level has a HUGE family room with mini kitchen, a 5th bedroom and bath, a craft room with sink and shelves, and a storage room. (Craft and storage rooms can easily become 6th and 7th bedrooms.) Yard is fully fenced with handsome wrought iron. BIG park just west of home. Great neighborhood. Priced to sell. Supra on front door." "GOLF COURSE COMMUNITY!!! This home has it ALL! Relax with unobstructed mountain and golf course views off the Trex deck under the pergola. Enjoy incredible new Brazilian Cherry hardwood floors. Completely updated kitchen with granite, custom built knotty alder cabinets, stainless steel appliances and extra large walk-in pantry. Huge laundry room with cabinets and room for second fridge. Oversized master bedroom/bathroom with separate new tile shower and tub plus laundry chute. Upstairs bedrooms all have walk-in closets. Theater room with wet bar and raised seating. Storage galore inside and built-in cabinets, shelves and workbench in garage plus attic storage with built-in shelving. Newer driveway. $3000 Carpet Allowance being offered.Square footage figures are provided as a courtesy. Buyer is advised to obtain an independent measurement"
"Beautiful updated home in quiet neighborhood. Conveniently located close to schools, parks, shopping, hiking trails, golfing, and mountains. Complete with brand new water heater, furnace, and AC, new carpets, new paint, granite counter tops, white cabinets, and much more. " "Spring has brought you such a nice surprise. This home is popping with all kinds of amenities. Large bedrooms and spacious gathering areas make exellent use of the square footage. 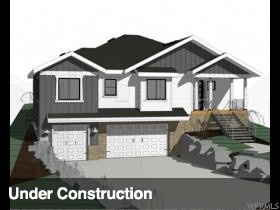 An almost 100% finished basement, you could add another bedroom/bathroom with great ease.. Terrific views of the mountains and a neighborhood that everybody raves about. Call today to schedule a showing. Open house this Saturday from 10am to noon." "Must see this great Cedar Hills home on a quiet culdesac. Kitchen has been redone with new granite, white cabinets and stainless steel appliances! Great floor plan with more room to grow in the basement as it has about 40% that is unfinished. The stove and microwave are new and the furnace and AC were replaced in 2017. It has two 40 gallon water heaters that were replaced in 2011. There is gas to the back patio for a BBQ. Very well maintained home and the cabinets in the garage will stay too! More professional pictures coming soon!" "Fabulous Sunsets can be viewed from your front porch. Enjoy the serenity of the beautiful Wasatch Front, Timpanogos area Mountains. Lovely Home features 7 spacious bedrooms and a large loft area for office or play. Open Kitchen and Family Room. Large Master Suite. New Hardwood Floors. The Large windows frame the panoramic views of the mountains and valley and of Utah Lake. " "PRICE REDUCED!!! Come see this immaculate, stunning, almost everything brand new, 5 bedroom, 4 bathroom home. 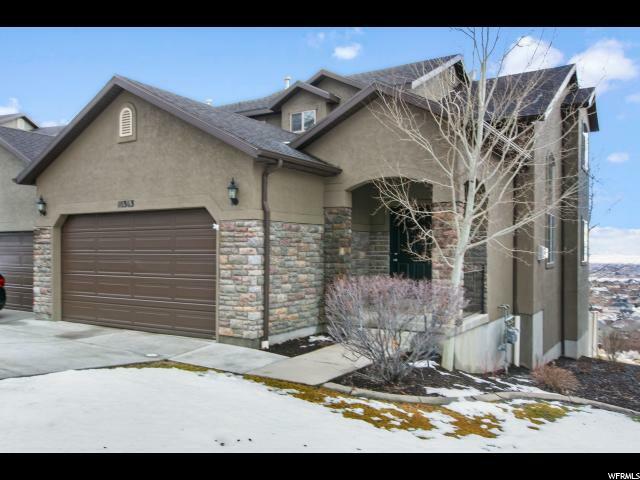 Nestled in a highly desirable neighborhood in Cedar Hills, with gorgeous mountain views in a golf course community with walking and biking trails all around. This home has brand new carpet, paint, appliances and blinds. Don't miss out, this is the one! " "This wonderful home is located in the coveted Cedars neighborhood. The home boasts four bedrooms and three and a half bathrooms. It has recently had flooring replaced and a fresh coat of paint throughout. With the open floor plan and fully finished basement there is ample space for family gatherings and entertaining. There's a beautiful park in the center of the community with playground and open green space. Neighboring Cedar Hills Golf Club and minutes from American Fork Canyon there are plenty of outdoor activities to keep you busy. This is a great home in a great community. Reach out for your private showing today. Don't forget to click on Tour for the 3D virtual tour of the home. Square footage taken from county records and provided as a courtesy estimate only. Buyer advised to obtain an independent measurement. " "Spacious, 5 bed home in the highly desirable The Cedars subdivision! 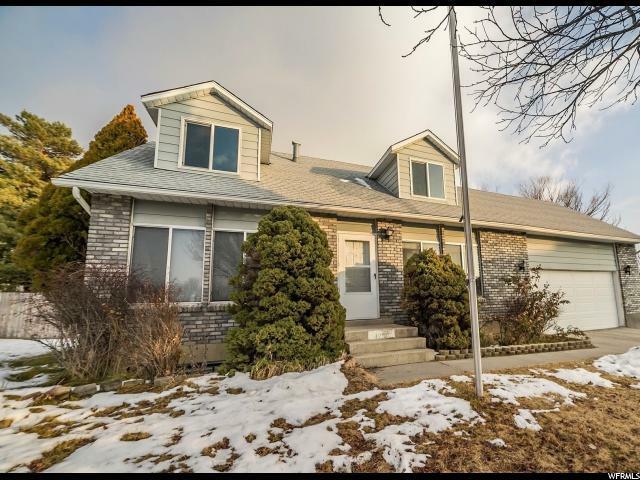 The home boasts one of the largest lots in the neighborhood, a mostly finished basement (all finished but a bathroom), open kitchen with large island, 2 family rooms, vaulted ceilings and a spacious master suite. 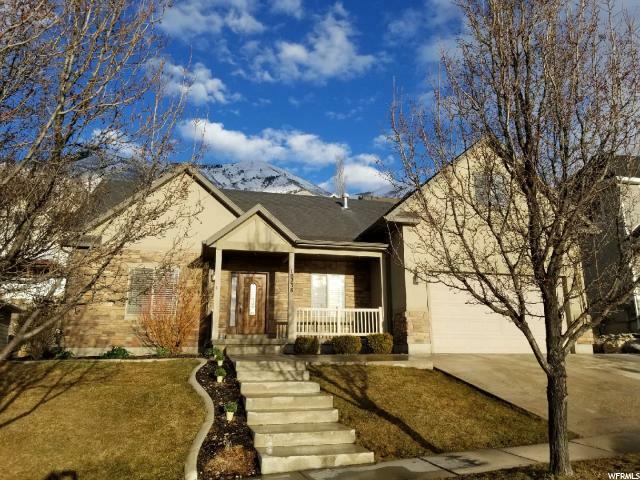 Located in a wonderful neighborhood and close to Cedar Hills Golf Course, walking trails, parks and American Fork Canyon, the mountain views are breathtaking and there is always something fun to do. Come experience this home for yourself at the Open House! Buyer to verify all info. " 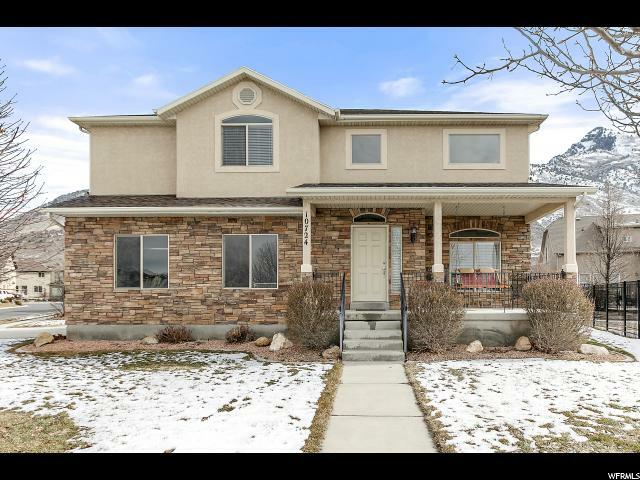 "Fantastic opportunity to get into Cedar Hills (and Lone Peak High School boundaries) for under $370k! Home is close to Murdock Trail, with an amazing yard and views views views. Has been maintained and well cared for including a new furnace in 2017, new garage door opener in 2018, new microwave in 2018, water softener was rebuilt in 2018, a whole house humidifier was added, and the front room window was replaced in 2013. Square footage figures are provided as a courtesy estimate only and were obtained from county records . Buyer is advised to obtain an independent measurement. Buyer and/or broker to verify all. " 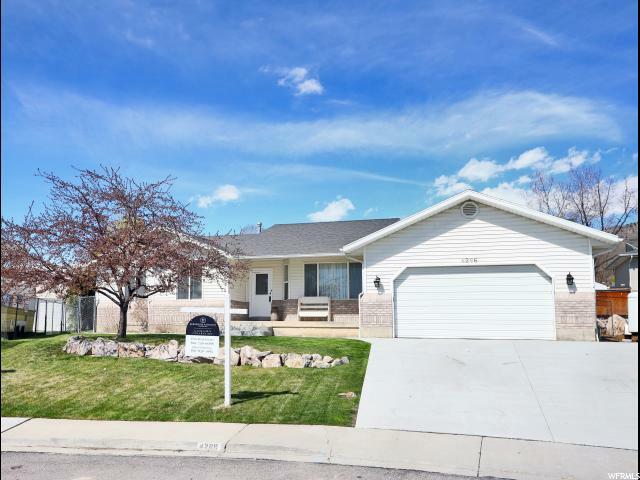 "OPEN HOUSE SAT 4/13/2019 12:00 PM TO 2:00 PM! Brand new carpet and lower price! This home checks all the boxes! 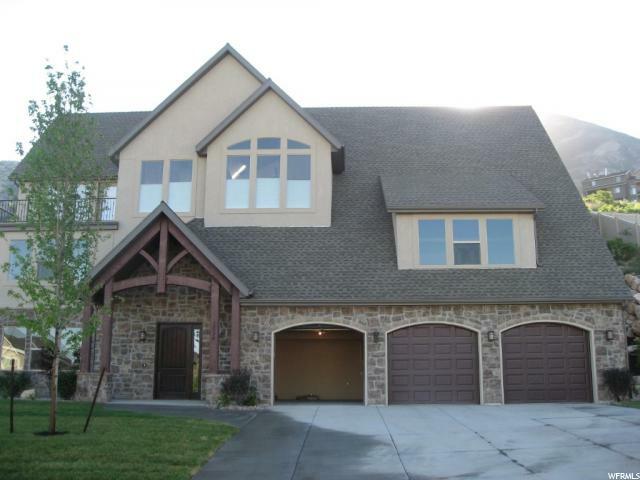 Spacious 2 story at the center of a cul de sac, with 6 bedrooms and 3.5 baths. Top level: 4 charming bedrooms together upstairs (a rare find at any price range). 2 front bedrooms have new triple pane windows. 2 back bedrooms have new double pane windows. Updated master bath, plus regular bath. Main floor: Updated Kitchen, 2 family rooms, a real fireplace, laundry, and newly tiled formal dining room with built in curio shelves. Basement: full new finished basement, including a 3rd family room that spans the entire depth of home. Elegant crown molding and professionally textured walls. Double insulation upgrade. Large under the stairs storage closet, 2 more bedrooms, a full bath with a jetted tub, separate water heater for basement, and a double walk-in closet with built in shelves for a library. Other upgrades done in recent years include: New shingled roof, 15 new interior doors, updated Kitchen cabinets, new kitchen appliances, 2 updated water heaters, energy efficient furnace, new light fixtures, casings, molding, and paint. Fully fenced backyard, with an extended rv/trailer parking area. A mountain view in back and thoughtful neighbors in the cul de sac will be your oasis of peace and fun. 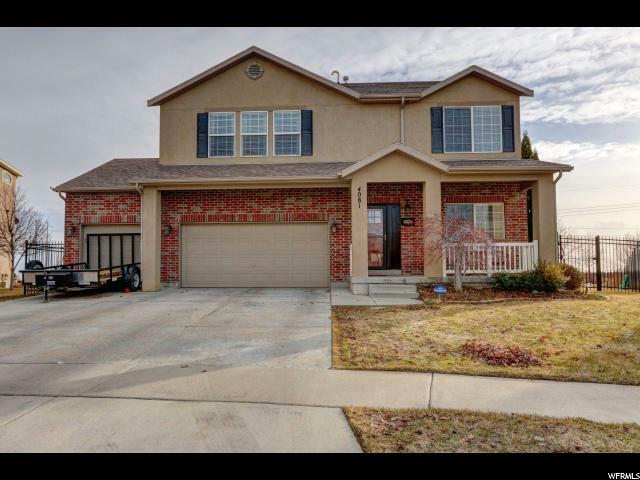 Walking distance to Cedar Ridge & Lone Peak High School! This is a great place to live! Come take a look!" "Mountain Side Home.Three Levels, Walk out basement (100% finished), Two Gas Fireplaces ( on main & basement), Natural Gas plumbed to back patio for grille, Fully Landscaped, Hard wood floors on main level, Beautiful Mountain Views East side of property, elevated View of the Valley on the west side of property (from all levels of the home), Pre-wired Surround Sound in theater room, Access to golf course, hiking & biking trails. Square footage figures are provided as a courtesy estimate only. Buyer is advised to obtain an independent measurement." "Amazing deal. 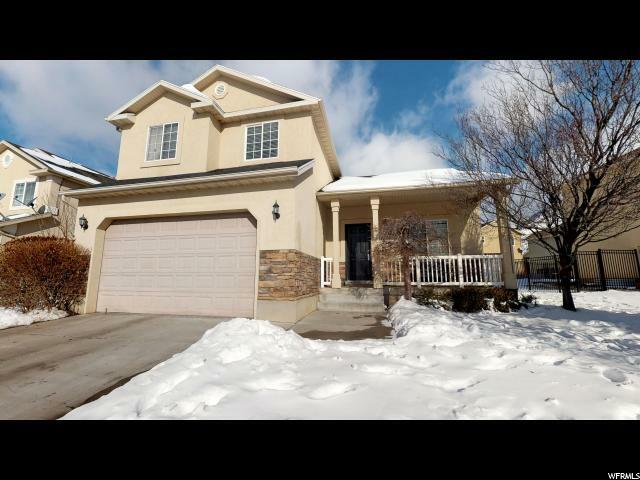 Awesome family home located in the hub of Cedar Hills. 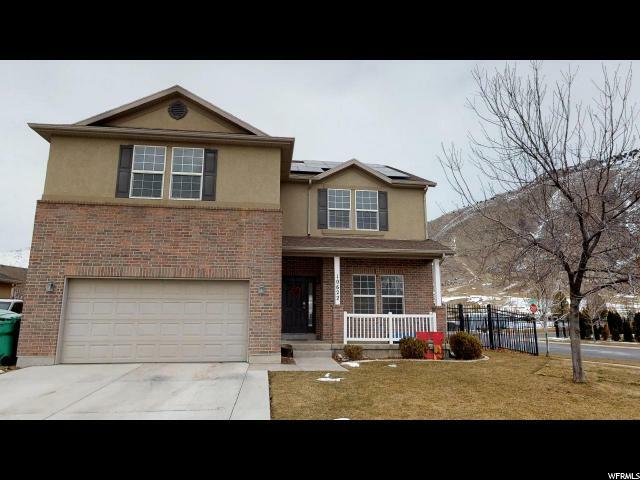 Only blocks from Lone Peak High School, churches, parks, walking paths and more. Open kitchen and dining area, 2 family rooms-on both main and in the basement. Includes tile and hardwood flooring. Vinyl in basement half bath. There is a custom fire sprinkler suppression system throughout the home. Walkout basement updated to meet code for daycare provider. A gas fireplace is plumbed into the basement family area. Basement has a separate entrance thru the garage area. Great backyard patio area for family gatherings. Shed included. " "New Paint, new price! 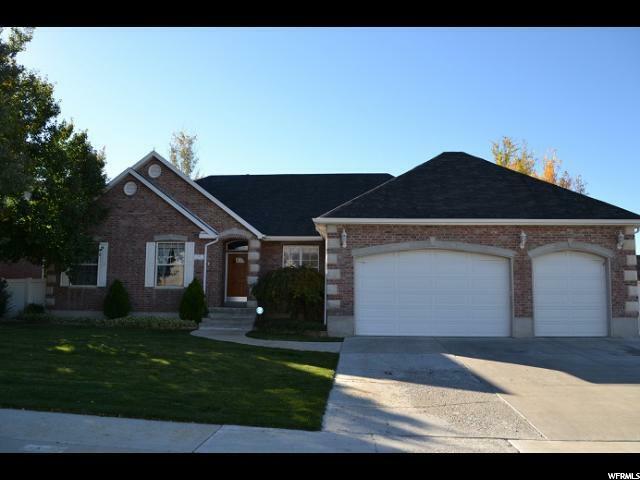 Nice home, move in ready with mountain views and just minutes from American Fork Canyon and Cedar Hills Golf Course. 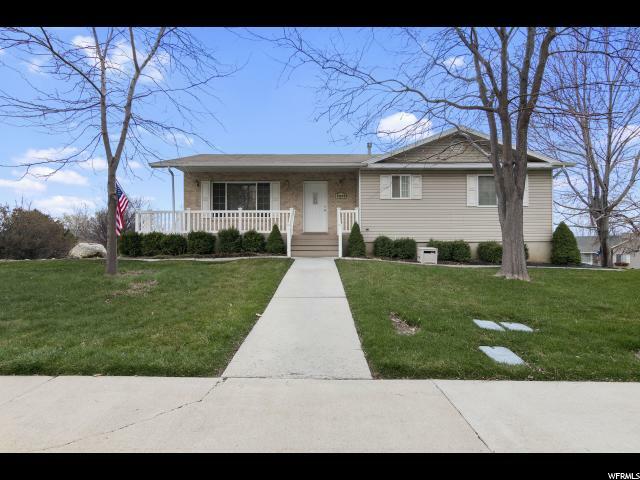 This 5 bedroom, 3 bathroom rambler has a 6th room for an office and a storage area in the fully finished basement. A must see!"